How to Make Practicing Short Game Fun! With the online broadcasting of PGA Tour events, in particular The Masters, fans have unprecedented access to PGA Tour players. If you watched The Masters on their website, you probably noticed that you had the option not only to watch players on the course, but also in the practice area. I took some time to watch the competitors practice and warm up and noticed some great training habits that you can implement into your practice routine that will help you take your game on to the course. Augusta National GC has one of the nicest practice facilities in the entire country. It has greens out in the range so players can hit shots into greens and practice shaping shots to specific targets. While very few of us are lucky enough to play/practice at such a nice facility, we can all benefit from the practice of hitting specific shots while we are practicing. The next time you hit balls on the range, select a target and try to hit your shots to that target. If you do not hit your target, take a step back and go through your pre-shot routine, just like you would on the golf course. While you may not feel the instant satisfaction of a “normal” range session, you will find that your game will transfer to the golf course more effectively. While Rory McIlroy finished T10 at The Masters, he had the best practice round strategy of the week. Normally he plays multiple balls during practice rounds, but this year, he played the ball down and only used one ball. If Rory hit his tee shot into a divot, he played it. If Rory hit an approach shot into the water, he took a drop. By playing the ball down, Rory forced himself to experience all of the lies and situations he may encounter during a competitive round. The next time you go out on to the course to practice, try playing the ball down and accept the lies and bounces you get on the course. You may not always like the shot you have to hit, but you will be better prepaired to play against your buddies in a $5 nassau or in your club championship. I am as guilty as anybody of not always warming up perfectly. Many of us have showed up a bit late, hit a few 7 irons and drivers on the range, and then gone to the first tee. While this may help warm up your muscles, how many full 7 irons and drivers to 100 yard wide fairways will you hit during a round? The answer is maybe 2 at the most. On Thursday morning, I watched Bubba Watson roll putts through the fringe of one of the practice greens. He was not putting to a cup, just to different distances in the fringe. Augusta National is know for shaving the areas around the green, so he was preparing to hit putts from off the green and wanted to know how the ryegrass of Augusta National will effect his putts. If you are warming up at a course you have played before, make sure you are practicing shots that you will actually have to hit on the course. Playing a links style course? Then you probably don’t need to practice flop shots before your round. Are you playing a short course with tree lined fairways? Then you should hit some fairway wood and hybrid tee shots on the range. By practicing with a purpose, you will find more success on the course. With a 24 hour sports news cycle and online streaming of tournaments, we have more access to players while they are not hitting Sports Center worthy shots. The next time you watch golf, pay attention to the habits of the players. Watch the way they practice and prepare. The more you pay attention, you will realize that the players who have the best practice and warm-up routines, are also the players that are playing the best golf. When you begin to practice with a purpose, you will find that your practice game will transfer onto the golf course and your scores will begin to shrink. 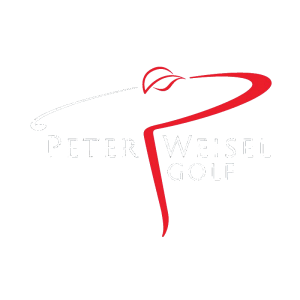 © 2019 Peter Weisel Golf. All Rights Reserved. Powered by GolfMDs.